Regular readers of Current Affairs will know that I usually have a lot to say about immigration. Regular readers of the news generally will know that a lot of bad stuff has happened with immigration over the past week or so. An article was inevitable! Here it is. I will be taking several recent news items on immigration, putting them into a bit of context, and speculating about what future developments might arise from them. I want to stress, on the one hand, that this has been an especially bad few weeks in immigration policy. It represents, in my opinion, the culmination of a multi-prong strategy to completely choke off asylum-seeking at the border. No physical wall could possibly be more effective than the system the Trump administration is currently setting up, if everything works out according to their plans (though this is not yet a foregone conclusion). On the other hand, many of the things that people are currently shocked by are not new. Separating mothers from children on a large scale is new. Separating children from fathers, or fathers from families, is not new: That has been going on for ages, and no one has ever given a damn. The heartwrenching, blood-boiling story of the Honduran father who killed himself after his child was ripped from his arms could have happened at any point over the past six years or so. WHY IS THE GOVERNMENT SEPARATING FAMILIES AT THE BORDER? IS IT BECAUSE OF A “DEMOCRATIC LAW”? I have no idea what Trump’s referring to there—there is no existing law that requires Trump to separate families. It’s possible he’s just casually spreading disinformation. That said, there are a number of laws and legal holdings that, operating in conjunction, produced a situation on the border that the Trump administration has found extremely frustrating to their plans to reduce border crossings. The only way to get around this was to start separating families. I will explain. Basically, between the time when the Refugee Act was passed in 1980 (implementing in our domestic law the commitments we agreed to when we signed the 1951 Refugee Convention) and the Clinton years, anybody who came to the U.S. and asked for asylum was entitled to a full hearing of their claim, either at the asylum office or before an immigration judge. Immigration detention was quite rare: It was certainly not a standard feature of the asylum-seeking process. Asylum-seekers had temporary permission to live and work in the U.S. while their cases were pending. Once the Department of Homeland Security was created and the militarization of the border increased post-9/11, a system of detention centers began to evolve as holding-places for immigrants who were caught at the border and couldn’t be immediately deported under expedited removal because they had raised a claim of fear. Still, however, detention was far from universal: Many people who claimed fear at the border were simply given a notice to appear in court and allowed to go free. In the Bush years, a special detention center, Hutto, was built to hold family units—i.e., women with children—who were caught at the border. Early in Obama’s presidency, the center was re-purposed as an adult-only center, presumably because locking up children felt, well, wrong. Even this fairly pedestrian and uncontroversial moral stand, however, was soon sacrificed to some twisted form of political expediency. Obama presided over a massive expansion of ICE’s budget and operational capacity. In 2013, when Central Americans started appearing at the border in larger numbers than usual, the Obama administration decided that it had a “crisis” on its hands. Rather than, you know, figuring out whether some of the incoming migrants might be refugees, and, say, coordinating with UNHCR to set up reception centers on the border, the government instead decided to build more family detention centers, where mothers and children could be locked up pending their “credible fear interviews” and then rapidly deported. Unfortunately for the government, some lawyers showed up at these centers eventually, and then the women started passing their credible fear interviews in pretty large numbers, because the women now actually understood what the hell was going on, and it turns out that most of them had real asylum claims. Now, if the women had crossed the border alone, without children, the government would have been within its legal rights to keep them detained until the date of their final court hearing. (Many adult asylum-seekers are detained in this way, over periods of months and months, even when they pose no conceivable danger to the public, and even though there are non-detention options, like ankle monitors, that would make it near-impossible for them to flee.) But since these women crossed with children, things were different. Per a 1997 legal consent decree called the “Flores Settlement,” kids can’t be kept in more restrictive custody than is absolutely necessary, and there are (at least on paper) all kinds of restrictions on the kinds of facilities they can be housed in. In 2015, a federal judge in California made an additional ruling specifying that the Flores Settlement also applied to children who crossed with their mothers, and that if such a child were released from detention, the mother must be released too if their cases were linked. In other words: If a mother could pass her credible fear interview, she and her child were legally required to be released. The Trump administration is a cesspit of racists, sadists, and domestic abusers. What they are doing on the border right now is immoral on the scale of, I don’t know, the Trail of Tears? Nazi Germany, in the pre-death camp phase of its career? I don’t intend to diminish Republicans’ culpability for these atrocities one iota by pointing out—as a separate and additional matter—that Democrats have also been deeply complicit in the terrifying developments we are now seeing. Without the expedited removal procedures established under Clinton, and the vast expansion of the immigration detention and deportation apparatus under Obama, none of what the Trump administration is doing now would be possible. Maybe Obama can create a Netflix series about how Democrats normalized the practice of detaining infants! SO WHAT IS THE TRUMP ADMINISTRATION TRYING TO ACCOMPLISH WITH THESE SEPARATIONS? Now, the distinction I am about to draw may seem a finicky one, but I think it’s important. Children are NOT being taken from their parents simply because the government wishes to prosecute their parents for illegal entry and the children cannot accompany them to jail. That makes it sound like these separations are simply incidental to a separate enforcement policy that the government decided to pursue. IS ASYLUM FOR DOMESTIC VIOLENCE “OVER”? IT’S A LITTLE TOO EARLY TO SAY, BUT THINGS ARE LIKELY TO TAKE A NASTY TURN. 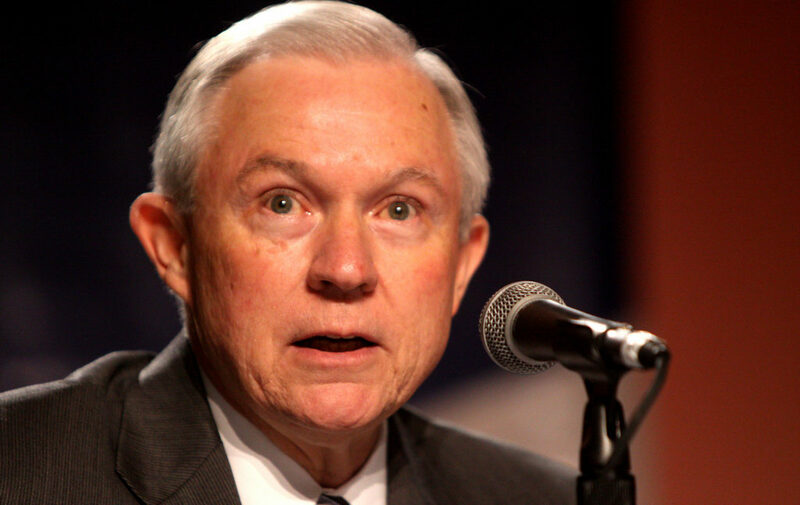 Many journalists have suggested that Sessions’ decision has effectively “ended” asylum for women fleeing domestic violence, and that the terms on which he argued the issue have also effectively “ended” asylum for people fleeing gang violence. This is slightly premature. As an initial matter, it’s very hard to say with precision what the effect of this decision will be. Asylum cases based on domestic violence were granted by immigration judges in various parts of the country before the 2014 precedential decision was issued. Judges who want to grant these cases can still find ways to do so: it’s just a lot harder now to force a judge to do so when they don’t otherwise feel like it. Jeff Sessions and the Board of Immigration Appeals are also not the final arbiters of all points of asylum law. Cases can be appealed from the Board of Immigration Appeals up to the federal circuit courts. This means that federal judges in, for example, the Ninth Circuit (California) and the First Circuit (New England) could issue rulings more favorable to women fleeing domestic violence, which would then be good law within those circuits. Getting these rulings will take some time, however, and it is always dangerous to repose too much trust in judges, even in parts of the country where the judiciary seems disposed to resist Trump. The place where the effects of Jeff Sessions’ recent decision will be most keenly felt is on the border. People seeking asylum on the border, thanks to Bill Clinton (see above), are in danger of being summarily deported if they can’t pass a “credible fear interview” showing that they would have a significant possibility of proving their asylum cases in a full hearing. The good news about these credible fear interviews, which are conducted by the Asylum Office, is that when they assess whether someone has a “significant possibility” of proving their case, their own agency regulations obligate them to consider circuit law from all over the country. So, if the Ninth Circuit decides a case granting asylum to (for example) a woman fleeing domestic violence who wasn’t able to get any help from the police in her country, the asylum officers assessing a person for “credible fear” have to treat this as good case law, even if other circuits have ruled differently. A lot of gang-related cases, for example, have historically survived the credible fear hurdle, even though such cases are near-impossible to win in many parts of the country, because there are some parts of the country where they sometimes win. So the important questions are: In the absence of that precedential decision (Matter of A-R-C-G-) that unambiguously established certain domestic violence situations as grounds for asylum, is there enough good case law on gender-based claims to require the asylum office to find that people fleeing domestic violence have a “credible fear”? Will asylum officers basically start treating domestic violence cases as if they are presumptively barred from asylum, or will they actually do the fine-grained case-by-case analysis they are technically required to do? Most importantly, will the government start purging asylum officers who try to issue positive credible fear determinations for people fleeing domestic violence? a) Domestic violence cases are rejected en masse at the credible fear stage, and everyone is summarily deported. b) Some domestic violence cases continue to survive the credible fear stage, but the women (who are now separated from their children) are all kept in detention on the border until their final court date. They are unable to get lawyers, and go in front of Fifth Circuit judges, who reject their cases on the basis of Sessions’s Matter of A-B- decision. Then the women are deported. You can see how the various pieces of the Trump administration’s strategy fit neatly together. You deter some people from fleeing to the U.S. by threatening to take away their children. You deter some more people by putting them in long-term detention (made legally possible by the separation of mothers and children). And then, finally, you purport to take away, at a stroke, the accepted legal theory on which thousands of these cases have been granted, so that even women who are willing to wait out the separation and the detention will still lose their cases. Who would risk coming here to face all that? I believe that this is now what we may start to see. And this is where the true viciousness of Trump’s policy shows itself. Unlike the Nazis, say, the Trump administration doesn’t want to do its torture and killing in-house. From the detention facilities here, the undesirables will be sent beyond our borders to meet their fates, unseen by us. We need dispose of no bodies. The fact that this looks different from the systematic state atrocities that are most familiar to us does not alter the reality of what is occurring here. Our government is a government that murders women and children. What Would Humane Immigration Policy Actually Look Like?